Today we celebrate St. Anthony of Padua, one of the most popular saints in the Catholic faith. On this day, two years ago I became your pastor at IHM. I would like to say what a joy it is to be the Pastor of Immaculate Heart of Mary! The Lord has been so good to me. Everything that has happened since June 2016 is truly the work of the Lord. We experienced the priestly ordinations of two of our own seminarians, who we now call: Fr. Marty Siebold and Fr. Daniel Ramos! As we continue fostering vocations we have Thomas de Prez joining the Formation House as a new seminarian for our diocese. We opened our hearts to a new priest: Fr. Nelson Rubio. He is doing such a great job, especially among our infirmed parishioners. We are a vibrant community. 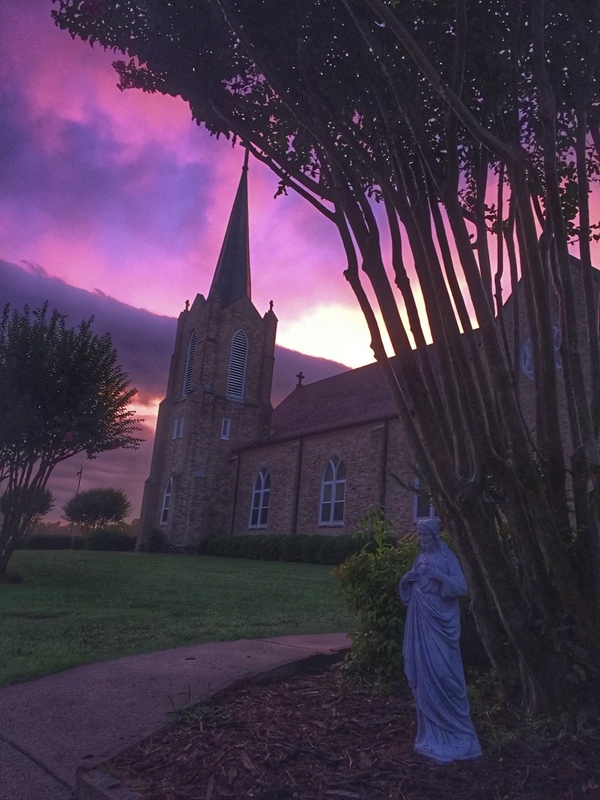 We have a beautiful part of God’s Kingdom in our Parish and School. Our School is preparing for another great school year. I want to say thank you to our Principal and all our teachers, secretary and cleaning crew. Their dedication is inspiring to me. Our Parish Staff has been welcoming and always helpful to everyone. I am more than grateful to them for being such a beautiful face of our community. I am very grateful as well to all the groups and ministries that have been supportive to our clergy and staff. - Dc. Jon Miskin and Fr. Nelson will be offering a workshop for Lectors and Eucharistic Ministers. It is for the ones serving and for those who would like to be part of these ministries. - The Parish Council approved the motion to name and dedicate our Parish Life Center as “Msgr. Bernard Malone Parish Center”. It is my wish that we can do so by the end of the summer. We have had two good years together, and many projects and dreams ahead of us. - I would like everyone to work together towards being an even more welcoming community. Welcoming to everyone -- visitors, people who wants to be part of our family, foreigners, children, and youth. - I would like to encourage everyone to participate in our daily mass. During the summer days I realize how important our children and school are to keep our community alive. Our attendance in daily mass is very low. Fr. Nelson and I will celebrate the sacrifice with only one person but it benefits everyone if we not only offer the mass but participate in the sacrifice. Today I am writing this letter to say THANK YOU! You are such an amazing community and it has been such a blessing to be your pastor. You make IHM beautiful. I always trust in your prayers! Blessings to all!